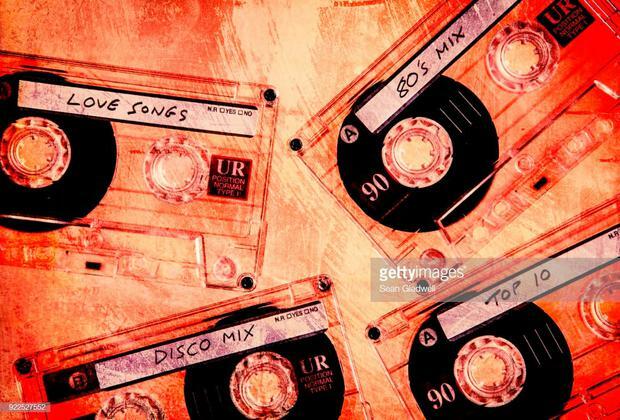 Music cassettes - are you stuck in a musical rut? Let's play a little self-assessment game. Do you find yourself returning to the same old albums? Have you found yourself moaning about "modern music all sounding the same"? Did you glance at the line-up for this year's Longitude festival and struggle to identify any of the artists? If you found yourself nodding along to any or all of those questions, you may be suffering from 'musical paralysis', to use a term dreamt up by Deezer. The French streaming service has quizzed a thousand people in the UK and have discovered that the age when this malady sets in is 30. It found that respondents were most keen to expand their music listening landscape at 24, but from the Big 30 onwards, they were far less likely to seek out new music, especially from artists they hadn't heard of or from genres they were hitherto immune to. When Deezer drilled down further, they found that people from this cohort on found themselves with less time on their hands due to work commitments and/or children and often reached for the comfort blanket of much-loved and familiar albums and artists. Others suggested they were overwhelmed by the huge amount of choice that has been available to us ever since Spotify launched a decade ago. What should have been manna from the musical gods, has turned into an embarrassment of riches - and one that too many are simply unwilling to explore. And too many of those who profess to love music are simply closing their minds. I found myself speechless some weeks ago when interviewing an Irish DJ who talked lovingly about the great music of the 1960s and 1970s but had no interest in seeking out anything contemporary on the spurious basis that everything that could have been done in rock and popular music had already been done. If a vinyl obsessive like him seemed as narrow-minded to the great stuff that's released around the globe in 2018, what hope everyone else? In fairness, it's not always as easy to uncover great new music as one might imagine. Daytime radio - and we're a nation of radio lovers according to the latest JNLR figures - tends to play the same small band of songs and artists over and over again. Listen to 2fm for the next hour or two and there's a fighting chance you'll hear Drake or Ed Sheeran or Gavin James. Some years ago, the station boss declared that no music released more than 25 years ago would be played. It was a soul-sapping pronouncement, but he was trying to reverse a sliding listenership and it's a ploy that's largely worked because 2fm's share is greater than what it was. As someone working in the print media, I am loath to admit that newspapers, magazines and online sites can be very conservative when it comes to espousing great new music. Often, it's the same old faces that are subjected to the long interviews you might read - although said old faces have usually done a lot of living and have far more to say for themselves than the shy fledgling acts that seemed stumped by a question as routine as, "What are your influences?" More and more in modern life, we're being encouraged to seek out the sort of stuff we already like. If you make a purchase on Amazon, the global giant will offer recommendations based on what you bought - so if it's an album of Brazilian samba or a Swedish crime novel, you'll be pointed towards more South American music and Scandi-noir. If you watch a box set or stand-up comedy on Netflix, you'll be proffered a list of similar programmers in the 'Because You Watched' section. And, like those of us who sometimes fall for Amazon's suggestions, we often binge on a new Netflix show that's really quite like the one we've already consumed. But playing it safe with our cultural choices, we're missing out on so much. It seems remarkable in an era of unlimited choice that we're reverting to the same music time and time again. So how can you get yourself out of a rut? Well, first up, there's nothing wrong with returning time and again to beloved musicians and albums but perhaps it's worth taking the time to listen to their more obscure work or to listen immersively to their best. My own listening pleasure has been enhanced by the brilliant podcast, Dissect, which uses the long-form standard of true-crime shows like Serial and applies them to albums. Kanye West's epic My Beautiful Dark Twisted Fantasy is among the albums featured and the podcast explores the album in breathtaking detail: each episode is roughly 30 to 40 minutes per track and manages to be both wonderfully scholarly and entertaining at the same time. For new music recommendations, it's best to avoid the algorithmic suggestions from the streaming services - they won't take you out of your comfort zone at all. It's hard to beat the touch of a music lover with an encyclopedic knowledge and exceptional taste. The English DJ Gilles Peterson has become a favourite go-to figure and his BBC Radio 6 show, Gilles in the Mix!, is never less than engaging. It's billed as a show that joins "the musical dots - soul, hip-hop, house, Afro, Latin, electronica, jazz and beyond" and it does just that. He gets through about 50 new and old tracks - many of them from the margins - in the pace of three hours and it's properly eclectic stuff. Great pop history books can also help discover music that might have fallen through the cracks over the years. Streaming services helped make Bob Stanley's peerless Yeah Yeah Yeah so special as you find yourself reacquainting yourself with old favourites and discovering new ones. It's a similar story on the tomes that take a period of music history and offer a definitive take. Suggestions? How about Simon Reynold's Rip it Up and Start Again, which looks at post-punk in the late 70s and early 80s or Michael Azerrad's This Band Could be Your Life, the finest study yet of the US 'college rock' scene of the 80s and 90s? Or you could be inspired by Lizzy Goodman's excellent study of all those great American bands who captured the imagination in the 2000s. The title, Meet Me in the Bathroom, was taken from the lyrics from one the band that's central to her story, the Strokes. And it's a great way to lose yourself in genres you may or may not have embraced. If you want to fills gaps in your electronica knowledge, try Mark Prendergast's The Ambient Century. Want to really get under the skin of early hip hop? Jeff Chang's Can't Stop Won't Stop is the book for you. Still need inspiration to expand your sonic horizons? Consider the live music offerings coming our way shortly. Electric Picnic's line-up offers a particularly good pointer, but for guaranteed music expansionist pleasure, take a listen to the acts chosen by Dublin's National Concert Hall for its cleverly curated Perspectives series: how about delving into the worlds of three artists who'll play the venue later this year - Pharoah Sanders Quartet, Punch Brothers and Anoushka Shankar.